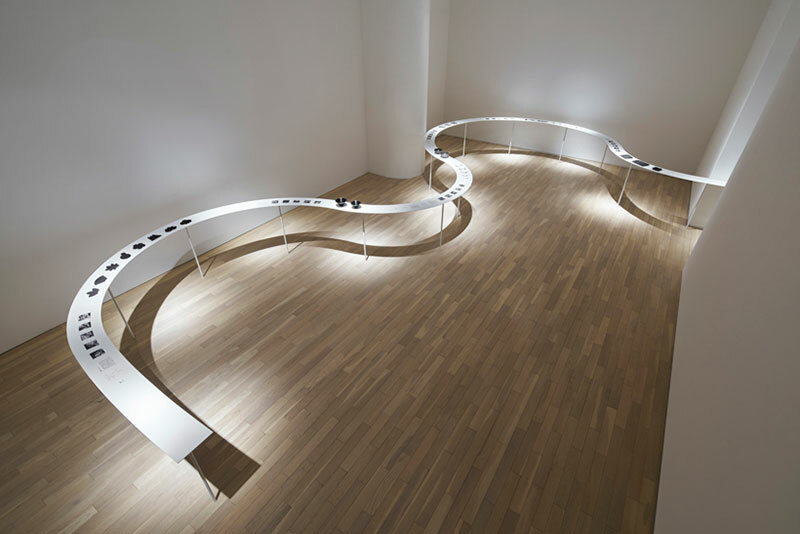 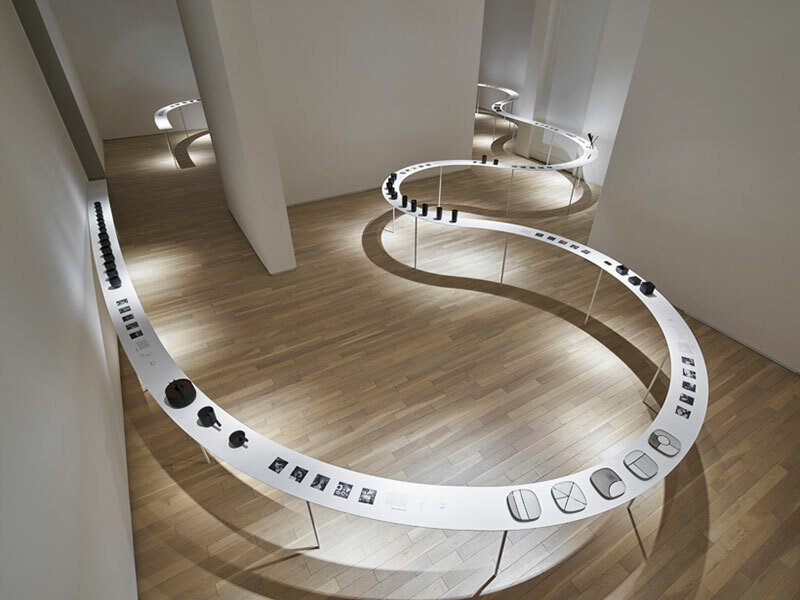 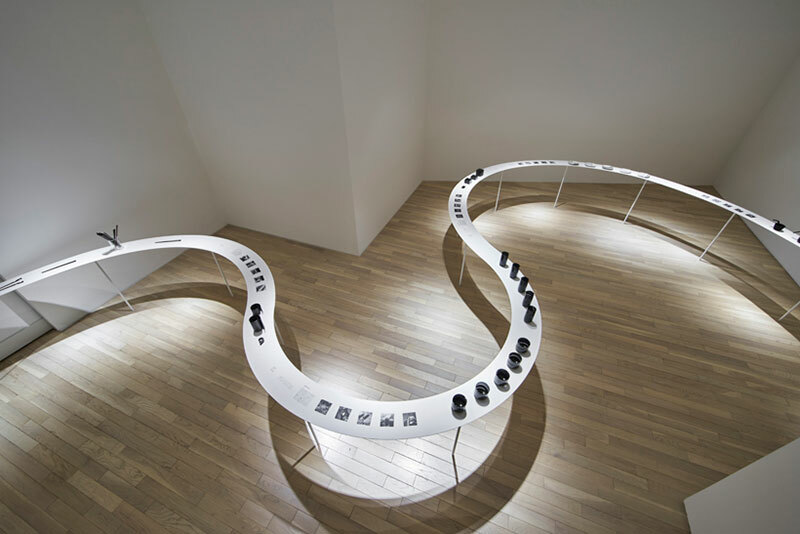 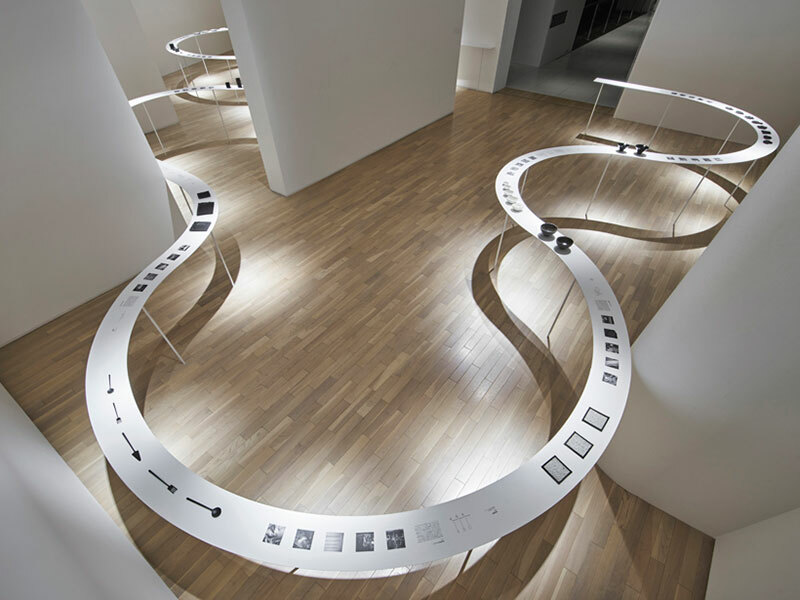 A table that snakes through various rooms at Tokyo's Eye of Gyre gallery by Japanese studio Nendo. 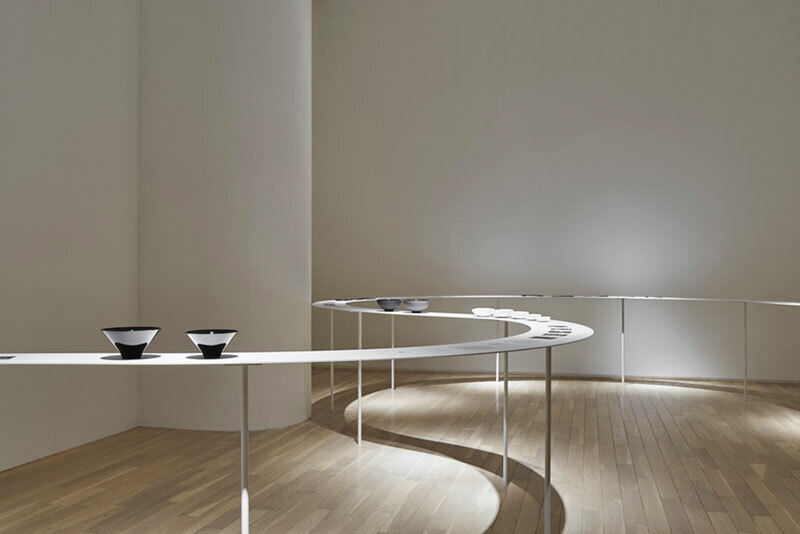 The table, measuring 33m long and sitting on slender legs placed at regular intervals, was designed for its traveling exhibition Colourful Shadows, originally shown at the Japanese pavilion at Milan Expo 2015. 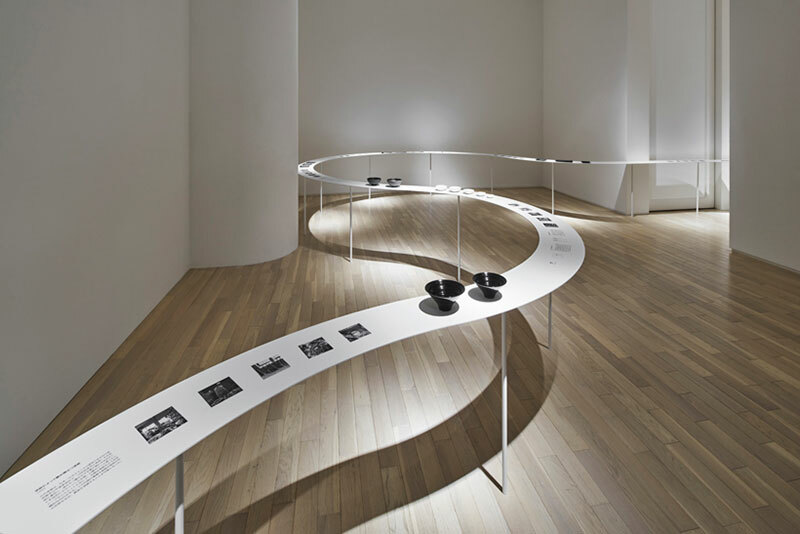 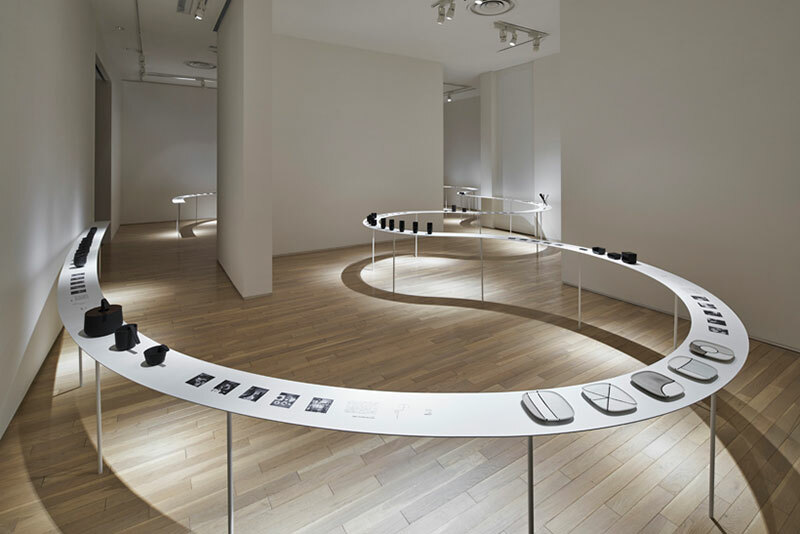 The exhibition displays a collection of cups and bowls, minimal cutlery, and carved chopsticks interspersed with photographs and sketches. 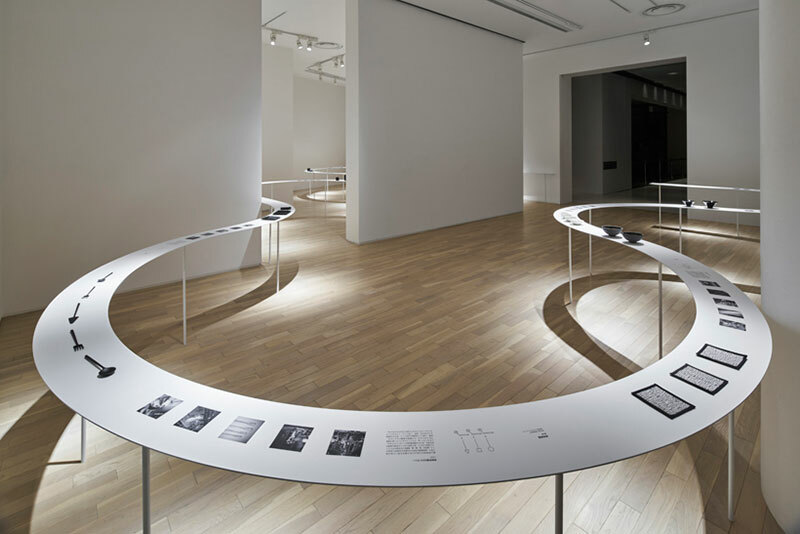 The tabletops were given a thickness of 3mm to emphasize the floating feeling of the display table. 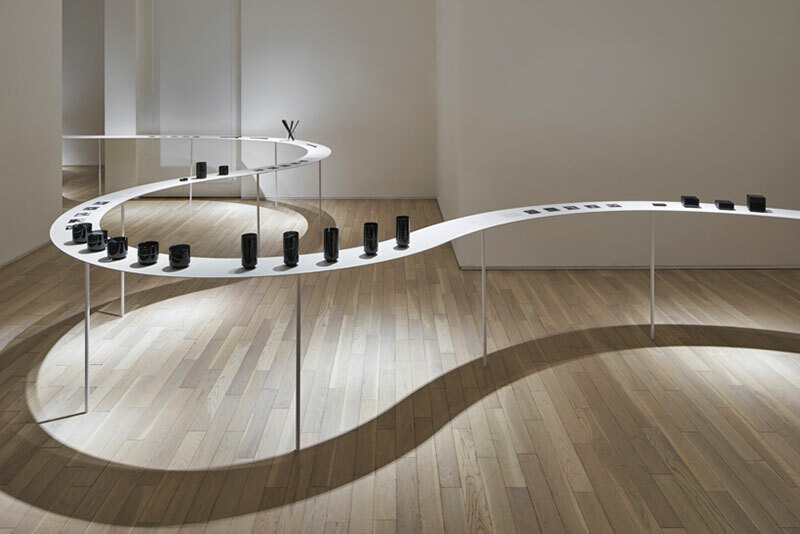 Likewise the legs, being kept to a minimal number, will hold up on their own as much as possible by leaning at just 2 points, against the wall and pillars in the gallery. 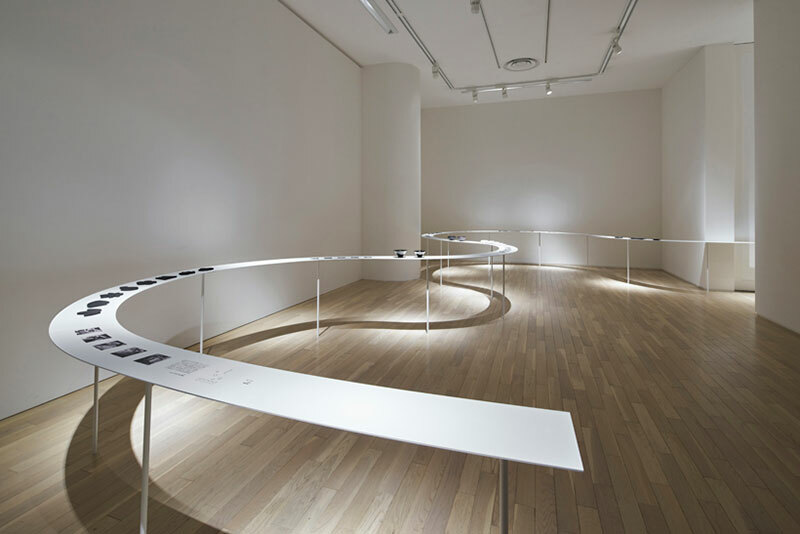 A table that snakes through various rooms at Tokyo's Eye of Gyre gallery by Japanese studio Nendo.